, all tickets are valid for the new date. ... tickets are 'stalls standing’, you may be directed to the upstairs balcony area at O2 Forum Kentish Town... find about more about getting to O2 Forum Kentish Town, click here . 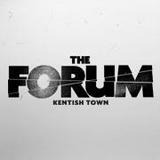 Where: O2 Forum Kentish Town... has moved from O2 Academy Brixton, London, SW9 9SL on the same date.